A comic, coming-of-age memoir by former Obama speechwriter Litt about his time working for the president. Litt takes stock of the Obama administration’s legacy as someone who dedicated a portion of his life to it and, more important, as someone who believed in it. While he frames himself as a simple romantic comedy hero — wide-eyed, a bit hapless, prone to slapstick — he wrestles with larger ideas of optimism in the face of cynicism ... As one might expect from the lead speechwriter for four White House Correspondents’ Dinners, Litt is a funny and skillful storyteller. His humor is safe more than edgy, but what he lacks in zingers he makes up for in brilliantly observed descriptions ... 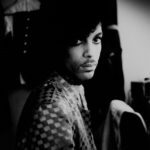 When, however, Litt’s journey dovetails with the more historical, headline-grabbing elements, the memoir soars ... Thanks, Obama is alchemical, wringing comedy, pathos and a nation’s hope out of one man’s stumble through the halls of power. While the first half of the book is enjoyable, the second half is masterly, rising to a crescendo that is as rousing as, well, a particularly inspiring campaign speech. Thanks, Obama is a compendium of patriotic lessons that may or may not endure; it feels like a time capsule or a magical portal to a republic turned to smoke. It can be disorienting, as when the author describes Donald Trump’s comeuppance—and, it was then presumed, political annihilation—at Obama’s hands during the 2011 nerd prom ... I consumed Thanks, Obama as a eulogy, a call to action, and a fervent rearticulation of first principles. But it’s hard not to also experience it as the setup for a terrible cosmic punch line. Of course, none of this is the book’s fault! The book itself is immensely appealing. In addition to Litt’s warm and engaging prose, it benefits from the inherent charm of its premise: the little guy brushing shoulders with the unthinkably powerful ... Certainly, there is a bit of elision here: Litt, a white male Ivy League graduate, is not quite the zero his comedic/fairy-tale setup needs him to be. But you never doubt that he feels like one ... But Thanks, Obama distinguishes itself as a feat of thinking, not just telling. Litt’s years in the White House have given him insight into the political moment ... Litt minted his star converting world affairs into jokes. The translation of satire back to sincerity is trickier to pull off, and lands with its own undeniable grace. 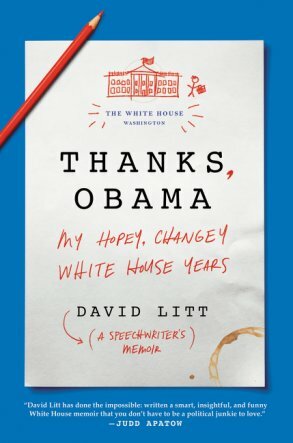 Litt’s memoir is structured as a collection of speeches, with each chapter built on a central anecdote or metaphor...It’s a clever meta-schtick, and he gets away with it because of the book’s greatest strength: its detailed and entertaining look at how presidential speeches are written. But it also means that each chapter is dependent on the strength of its anecdotes. When they work, it’s a limber, funny and illuminating book. This is especially true near the end, when Litt reckons with the importance of public service, his boss’s legacy, and feeling like an old man in a young White House. (He’s 30 years old.) When they don’t, Litt’s overeager style can grate, giving the book the feel of a 300-page Shouts & Murmurs article. What did you think of Thanks, Obama: My Hopey, Changey White House Years?